Amazon WorkSpaces is a secure desktop computing service that runs on the AWS cloud it allows provision cloud-based virtual desktops and provide users access to the documents, applications, and resources needd from any supported device, including Windows and Mac computers, Chromebooks, iPads, Fire tablets, and Android tablets. "Great workspace to access anywhere"
The flexibility to work anywhere is fantastic and the possibility to work in various systems. You can have the application in Mac and windows. The application is simple and works great, but we can't transfer files easily to the workspace. A functionality that can transfer files from our machine to the workspace via the application will make this fantastic. The app is simple to install, very easy to use and is fast. I use it to work remotely. Since I use a Mac, and the software is only available in windows this is the solution we have. But the best part is that we can continue working from every computer with internet. Workspaces allows you to easily have a desktop in the cloud, and do work with a GUI that would otherwise have to be done using the terminal/command line in an EC2 instance. Workspaces can sometimes lose connection for no reason even when the network is working fine, and will need to be rebooted which takes time away from development tasks. doing cloud developments using AWS. Workpaces alows us to connect to other internally hosted software products that are used for our daily development. "Recommended for All Who Travel Frequently "
In my opinion, WorkSpaces is a quite impressive and unique take of Amazon on cloud computing. Amazon has attempted to give users with true personal cloud experience. It is beyond simple cloud storage. I have prepared a Windows 7 PC with freedom of whatever kind of hardware I required. The best is it as true desktop experience and is just like using physical laptop or PCs I use. I have connected remotely from different ISP networks and it worked most of the times. I am thinking of leaving my personal laptop at home and use any low spec windows tab for accessing my WorkSpace. Amazon can totally count me in on WorkSpaces if they can address the lag / latency issues which start randomly during sessions. Second thing to be addressed is the time Amazon App takes to connect to my WorkSpace. I understand that technically it can relate to my own ISP connection but I have faced the same issue of multiple networks since I travel a lot. Every IT professional show give WorkSpaces at least one shot. Its truly worth the time you will spent. As tech professional heading networks & software development teams in our Company which has more than 150 employees across the globe, I see a very plausible implementation of WorkSpaces, where I will create an active directory based LAN network and they can login to their workstations regardless of their locations and type of hardware they might have. This will help me in data protection, governance, maintenance of our custom software, plus ease of access for employees. Managing hardware for remote users and or temporary workers and contractors can cause a lot of issues with spin up and compliance in what is on their devices. Workspaces allows us to control what they use and what they can access regardless of what device they bring. Web client is not as performant or good as installed client. Would be cool to have some sort of bootable OS or thumbdrive to ship. FOr quick and easy VDI WOrkspaces is a great place to look. You can control what is on the workspace along with where it can go and what it can access. Remote workers and contractors provisioning equipment for work. "Allows for convenient and remote use"
I like how AWS provides a space to get work done, and then be able to access that space from any other computer or device. It is simple to use. There are no real downsides of using AWS. The problems encountered have been very minor, such as freezing momentarily upon viewing full screen. 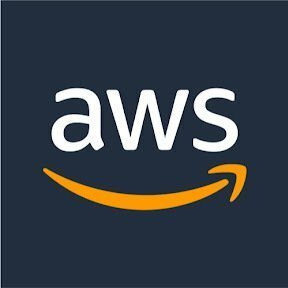 AWS is worth it for the remote capabilities and much more. Amazon WorksSpaces allows employees to work remotely, or wherever they may be. Scheduling can sometimes be difficult in this day and age, so having this option is great. I like that it allows you to have desktop notifications. There is no friendly way to check the email over an app on my phone. I have to log in on browser and is annoying. Also, is not mobile friendly. I haven't tried but it looks like there are no integrations to send mass email (like YAMM for gmail). It will not automatically forward emails to my zendesk either. Not mobile friendly, you can potentially have work-life balance this way. Communications. We have it integrated with zendesk too but is not very user friendly and we cannot forward emails automatically like in google. Because we have teams in China we use this server. The application is very easy to navigate. I store all my data files on s3. I don't like how undeleting files in s3 requires undeleting files one at a time. Multi-undelete functionality would be useful. AWS products are used by our Analytics teams and Engineering teams, making it easy for transitions of projects from team to team. We're using AWS to train models, build features, store data. s3 is the underlying storage system for all data that our team uses and generates. I like that you can access your workspace from anywhere and on different platforms. would like to see the ability to share workspaces instead of just one user per workspace. The best part of the solution is to have multiple size choices to choose based on what the user will be performing on the machine and now that they support Linux is awesome. We wanted Linux version of VDIs and now we have it. I like it. If you are applications are still hosted in on-premise, make sure you open necessary firewall ports for users to access the applications from their workspaces. We were having performance issues with existing VDI solution on Hyper-V. Now we are experience better performance results after moving to workspaces. Seems to act just like a personal computer. I like how this is a great solution to access apps and docs form my desktop in the cloud from other devices. Brilliant! I'm not sure as of yet. I assume security is solid but it's new and I'm not sure. Accessing business cases in meetings with customers when I don't have my laptop with me from my phone. It is relatively easy to use. Once logged in, all of my information is accessible and the addition of a private data file is great. It can crash or give me issues while logging on. You should have strong internet service if you plan to use it. It helps keep me organized and ensures there are backups to all important documents. It contains multiple applications, some of them free. A little complicated to navigate. Some of the options like the s3 bucket are not very convenient when trying to find and pull information quickly. I like that the links allow for other users to modify information but retain the original as well. I don't like that sometimes in order to view information the previous user needs to log out and close prior to next user. What I like best about Amazon work space is it's easy and useful for work space. What I dislike about Amazon workspace is that I can not invite others to use it. "Enable external partners secure, managed access to internal applications"
The setup and organizations. The templates are larger as well. It is a little slow when I login to the server I have. I like the setup. Sometimes it takes a while for the connection to log me in. I am able to share workspace with my funder and city hall. I make it easier for all to see the amazon workspace screen. "Good for admins, some issues for devs/power options"
web based log in option, ease of setup, ease of user from the user perspective. issues with searching/indexing (known issue), sometimes experience crashes/freeze ups despite using power level workspaces. Elasticity. Procurement of more/less powerful machines takes minutes instead of months. Nothing significant so far. Very minor latency; some administration tools. We are in the process of evaluating WorkSpaces instead of a traditional hardware refresh, which would not only save money, but also allow the business to respond quickly to changes in human resources and compute power. Just use S3 for testing our sites on as staging server . "Great way to spin up desktops quickly"
The speed at which you can build a desktop. You can keep your developers working with no delay. It is billed per hour, so we have to make sure sessions are not being wasted. We can provide developers with new machines for development of new technologies without imaging a new computer each time. It definitely reduces the need for hardware. "Workspaces enables remote users to stay connected"
"seemless access to remote machines"
I love seemless access to remote machines that are hosted on amazon workspaces. there is nothing to disclike about amazon workspaces. we wanted to have access to about 50 remote machines for our test env and we amazon workspaces was the solution we zeroed in on. Highly recommended. The pay-as-you-go plan is very helpful for small businesses. "Limited Exposure but I like what I seeq"
Once set up correctly, it provides consistent environments for all of our developers. We had difficulties setting it up initially, but working with AWS it is getting better. Each AWS WorkSpace environment is the same for all users and easy to provision. "Easy to use - easy to deliver"
No need to deploy VMs. Easily supports custom apps. Gives users power to their desktop. "product and services are some of the easiest and best virtual workspaces I have worked with"
Business problems like virualization. Remote desktopping etc werre the good benefits of it. "Best place to collaborate "
Quick to provision. Secure. Excellent platform to trial software among a scalable user and tester base. Easy to refresh. Inflexible pricing plan for persistent sessions and state machines. Quick providioninh for trial software. "Great virtual workspace for users"
"just like ms remote desktop"
The Mac client is very unstable and buggy. Giving access to stateside resources to offshore developers. I really love the flexibility to work anywhere. The system is MUCH slower than we were told it would be. I love the ability to login from any workstation! "use im my apple devices"
Great savings, Flexibility and Agile helping us quickly spin up the environments any time. Dependency like always reaching out for issues. Infrastructure dependency and security issues. * We monitor all Amazon WorkSpaces reviews to prevent fraudulent reviews and keep review quality high. We do not post reviews by company employees or direct competitors. Validated reviews require the user to submit a screenshot of the product containing their user ID, in order to verify a user is an actual user of the product. Hi there! Are you looking to implement a solution like Amazon WorkSpaces?